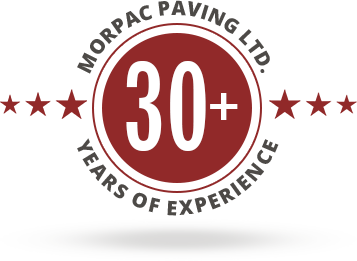 Health & Safety – Morpac Paving Ltd. Paving is a tough industry to work in with huge equipment, sharp tools and warm mix asphalt forming an integral part of the process. We are committed to keep health and safety of our people and the working environment dominant by sticking to every possible safety measure as determined by the paving industry and in compliance with legislative conditions. Proactive protection in the form of rigorous training of all our supervisors and employees in using equipment with extreme care is squarely aimed at preventing accidents at the workplace at every cost.